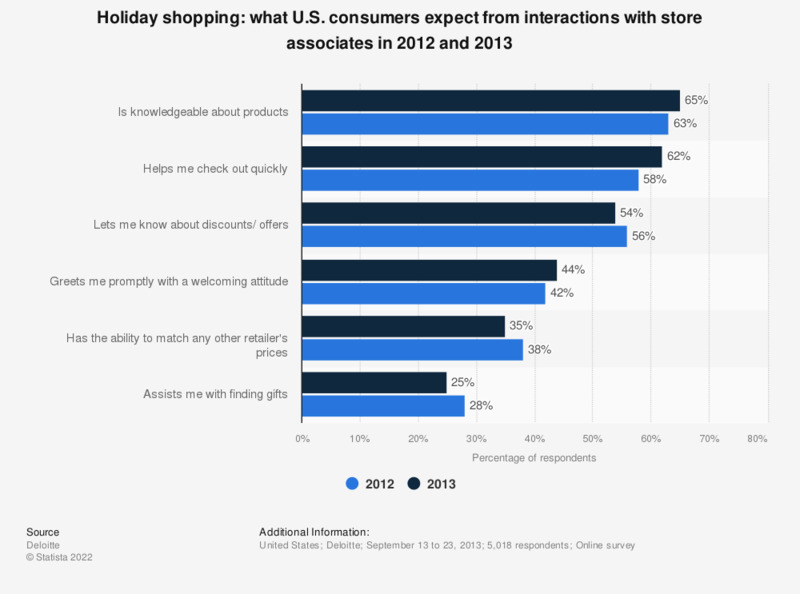 This statistic depicts what U.S. consumers expect from interactions with store associates while shopping for holiday gifts in 2012 and 2013. The 2013 survey revealed that 25 percent of respondents hoped that store associates would assist them with finding gifts. Responses under 25 percent not shown.